Many, many years have I waited for this particular character to be rendered in plastic. But save for a hollow vinyl one I once saw in a greeting card store, he has never really been done. 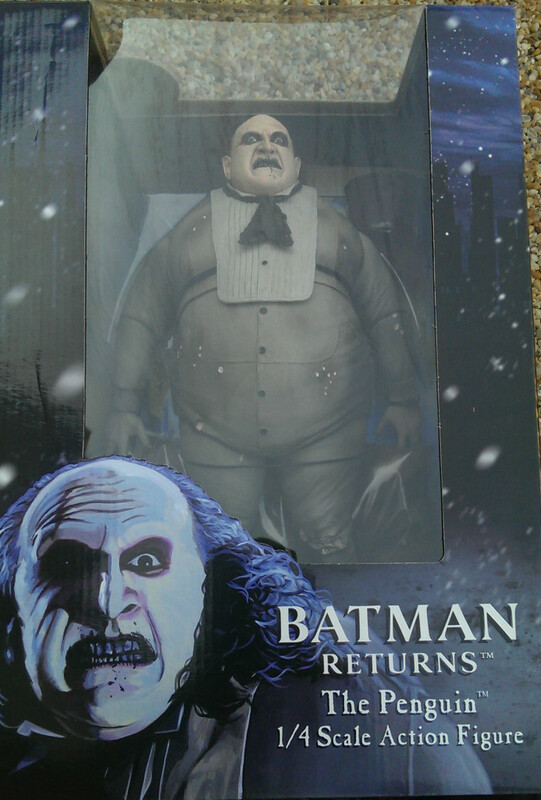 The official Batman Returns Penguin figure was a Super Powers repaint, and the Animated Series Penguin, while similar in design, lacked detail. 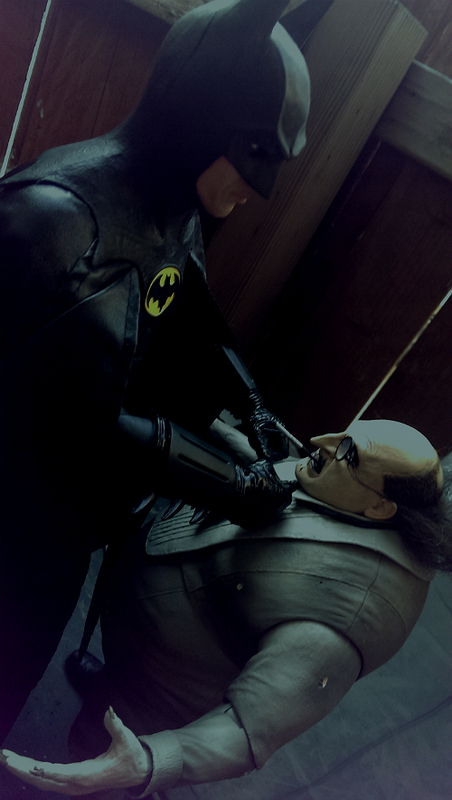 The character deserves better, as he is, when you break it down, the protagonist and main character of Batman Returns, as well as the greatest performance Danny DeVito has ever given. 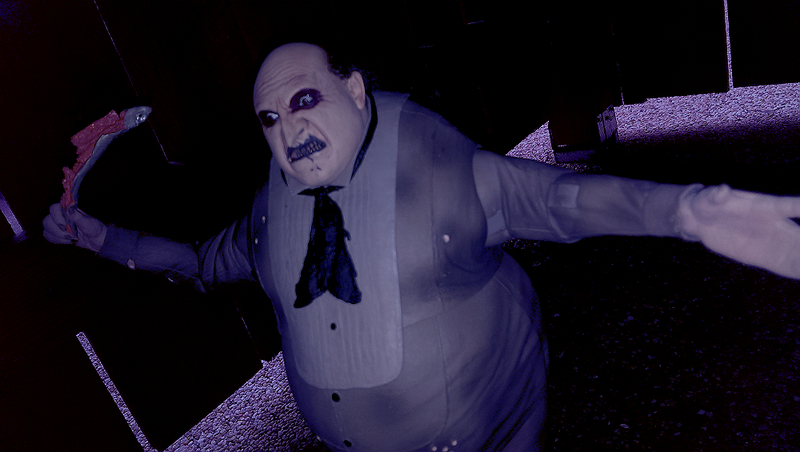 The familiar actor known for his Brooklyn accent and acerbic humor often plays similar roles, but as Penguin, DeVito the comedian totally vanishes and an all-new creation emerges – it took me at least three viewings of the film before I started noticing any DeVito mannerisms whatsoever. As a kid, I grew up somehow just knowing that the Joker and the Penguin were Batman’s number one and number two bad guys, so it seemed obvious that Penguin would have to be the villain in the movie sequel. But how? 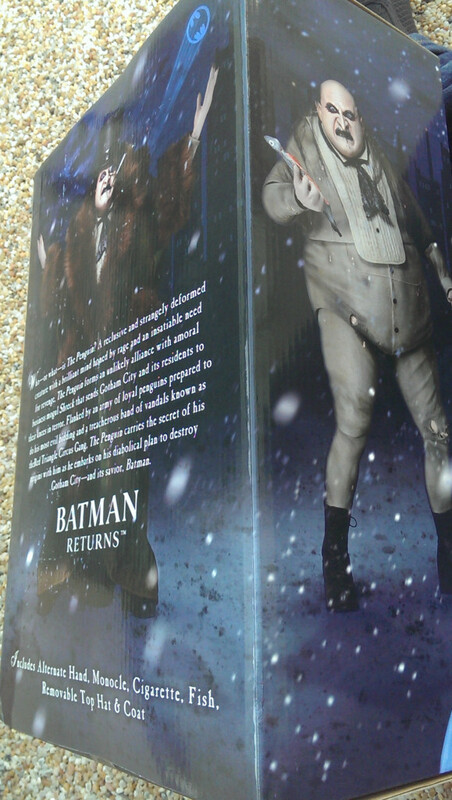 With a newer, darker Batman who was ready to kill, a fat Burgess Meredith going “Quuuaaack!” wasn’t going to cut it. 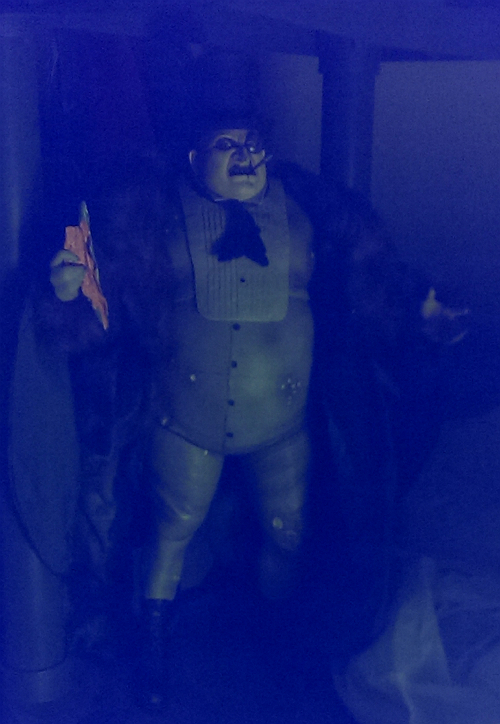 Tim Burton agreed with me, and turned Oswald Cobblepot into a circus freak resembling silent-movie fiend Dr. Caligari. The design is a triumph of Burton before he became a cliche – it’s Edward Gorey meets German expressionism with just enough realistic grossness to keep it believable. 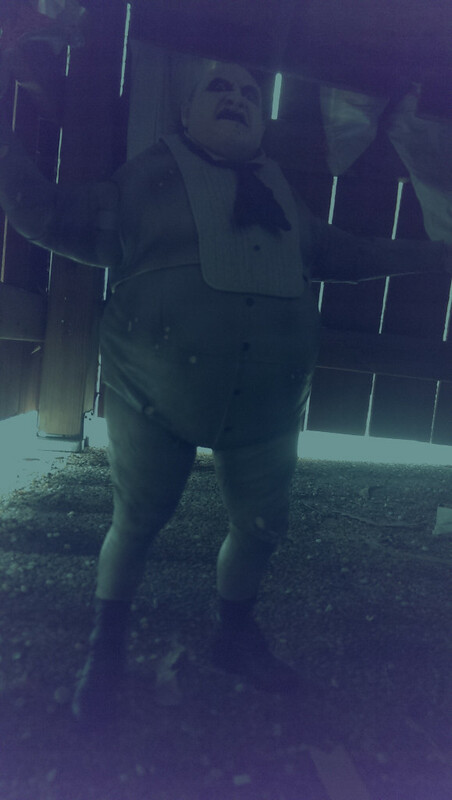 A little-known bit of trivia is that the “long underwear” look for the Penguin was never intended to be shown in the movie – it was just padding to make DeVito look more physically bizarre. 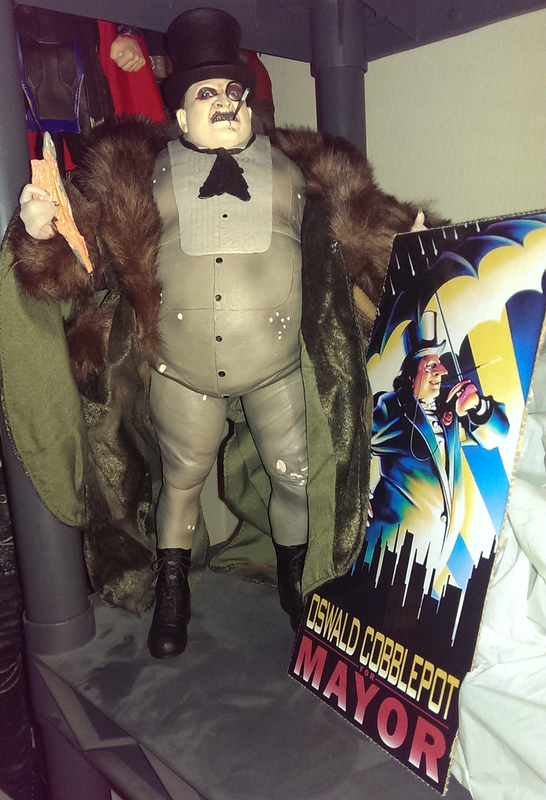 When Burton saw it, however, he loved the look so much that he incorporated it (to bolster the illusion that it’s not padding, NECA’s sculpt features several holes that show “flesh”). 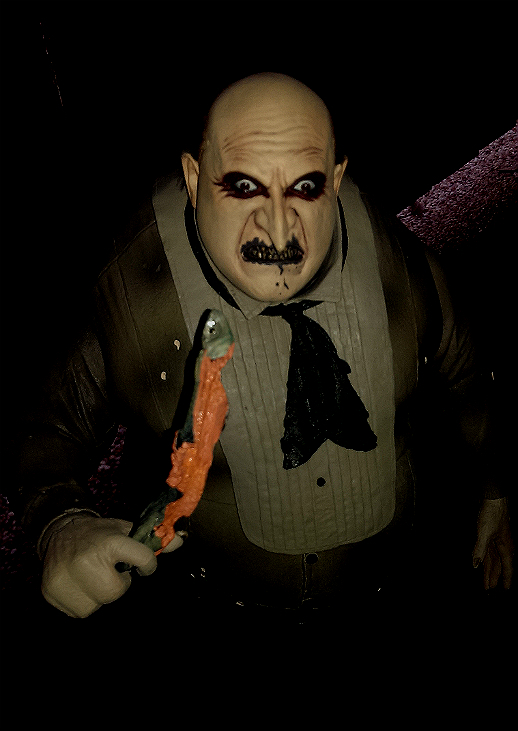 NECA could easily have done two separate figures, and (a la Gollum/Smeagol – Smeagol being the name for all smiling variants, and Gollum for all scowling ones) sold one “Penguin” and one “Oswald.” Instead, they made a figure who can be either, and may leave you wanting to buy two. Yes, the Penguin comes with a chewed raw fish accessory. The only thing that’s in any way a bummer about this figure is that NECA were so enthusiastic about it when they first prototyped it that they got crazily ambitious, and also planned for a working umbrella and a Penguin Commando. In the end, those had to be cut for cost, but what he does come with is impressive. 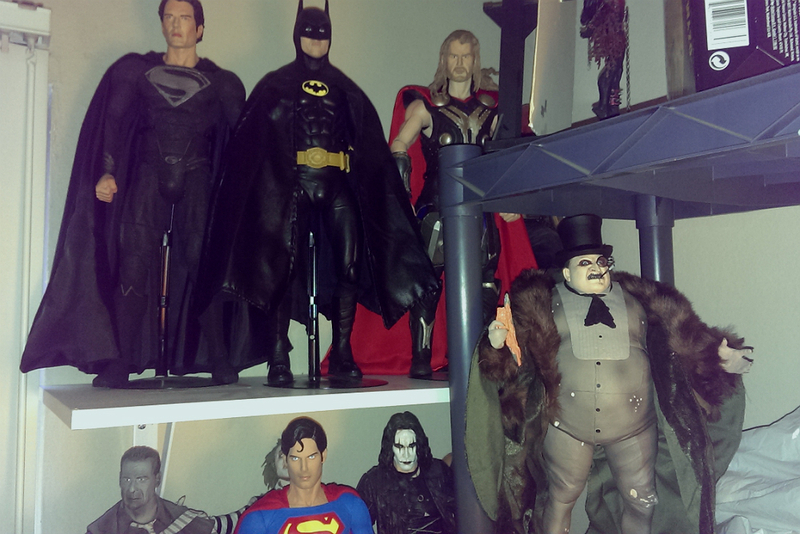 Articulation-wise, the Penguin is all hinge-and-pivot ball joints. Due to his physicality, you won’t be getting him into a ton of poses, but there’s room for expressiveness. His torso is also hollow, unlike many of NECA’s larger figures, so if he takes a shelf dive, he may hurt you, but not badly. He has rooted hair in the back, too, that’s as rough and gross as it should be. And check out the headsculpt up close – you can see his veins begin to throb at the thought of Batman. 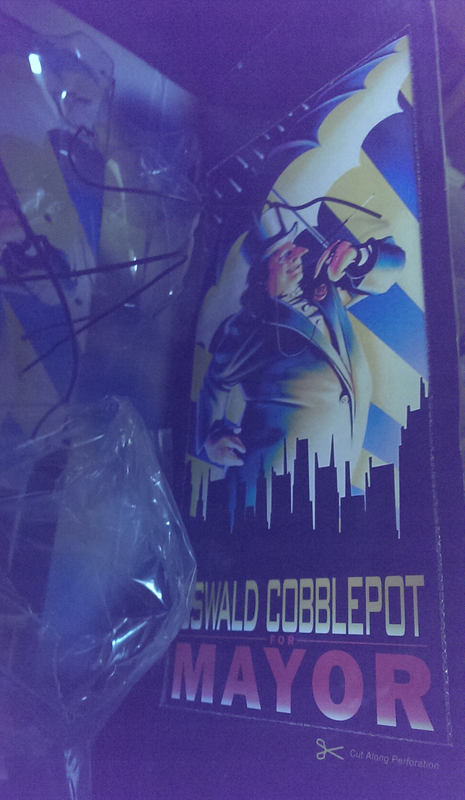 There’s one other accessory that goes unmentioned on the box – a punch-out mini-poster for Oswald’s mayoral campaign. 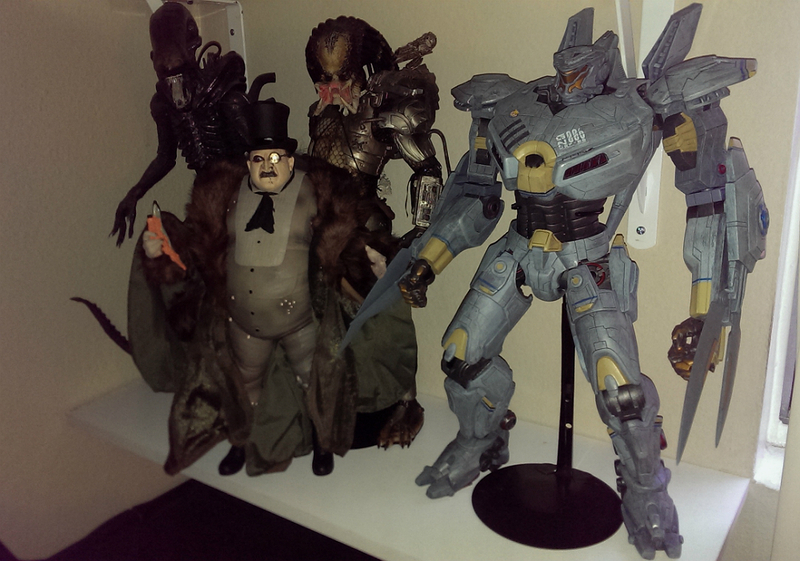 You can download even bigger versions at NECA’s own site and print them out yourself. 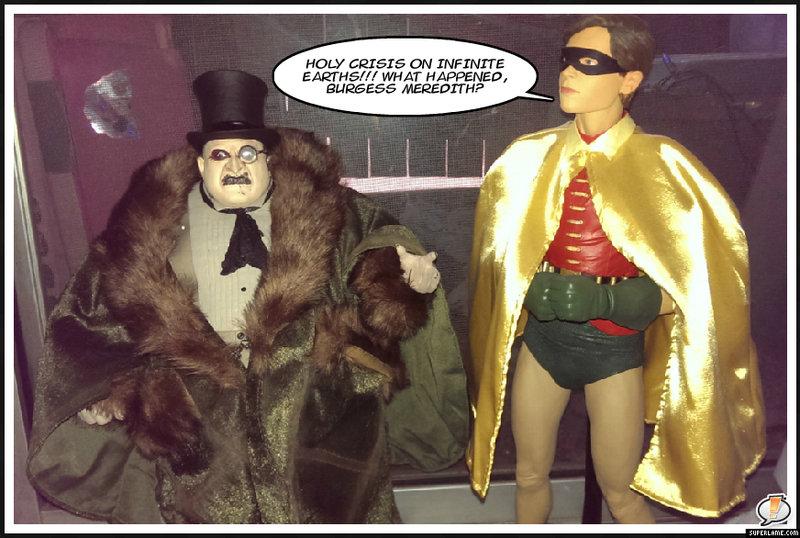 Penguin’s coat is the most elaborate garment you’ve ever seen on figures like this. 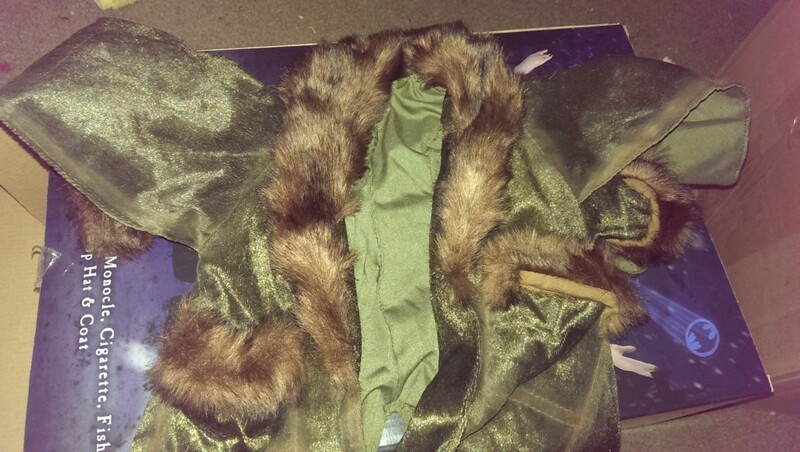 It has a faux-suede finish and fur trim, two pockets that can hold the extra accessories (he has two possible right hands – one to hold items and one to gesture), and double-sleeves. 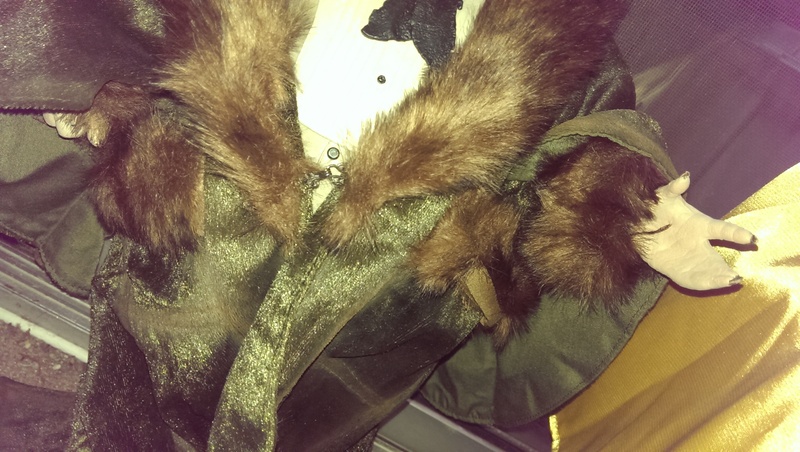 It closes with a metal hook-and-eye clasp. 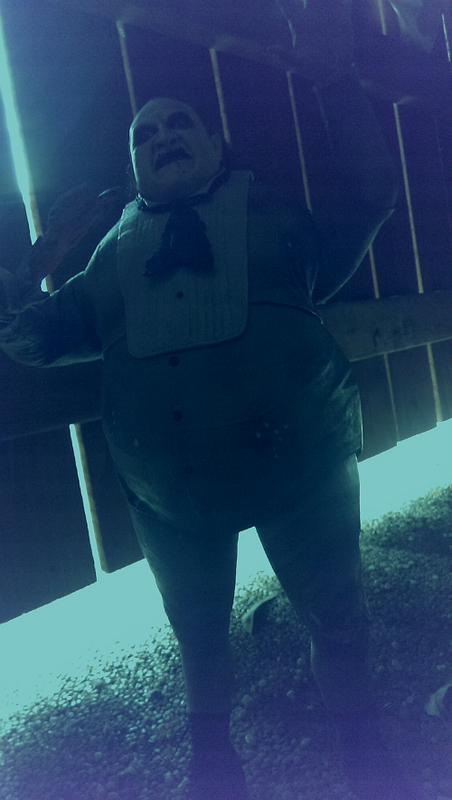 And despite Tim Burton’s dark movie having made it look black onscreen, it’s green. 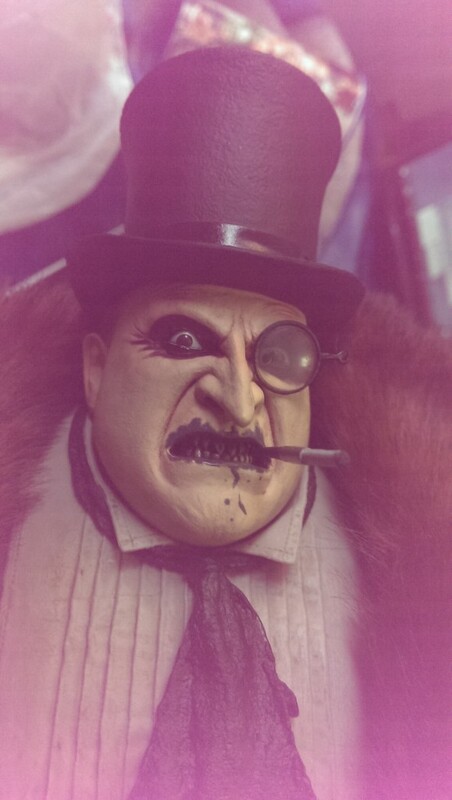 The monocle and cigarette easily plug in to tiny holes in the Penguin’s eye and teeth, respectively; they aren’t visible unless you’re really looking for them. 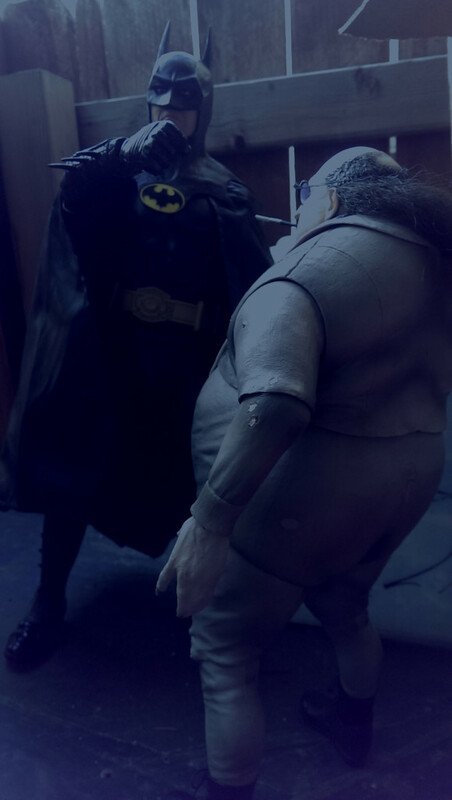 He’s the correct scale to Batman, too. Remember, rather than being 18 inches, he is quarter-scale – which is only 18 inches for a six-foot character. So let’s say, for example, that you have shelves which aren’t high enough for 18-inchers. This guy might still fit. The Penguin’s death has always been a massive frustration for me with Batman Returns. Batman basically sets out to kill him, and does so King Kong style, by sending attackers (bats) to fly around his head until he falls from a great height and dies of internal bleeding. 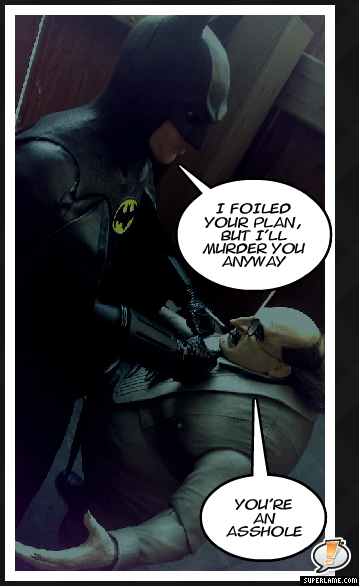 Then, moments later, Batman’s lecturing Selina not to kill Max Shreck, who is far worse. 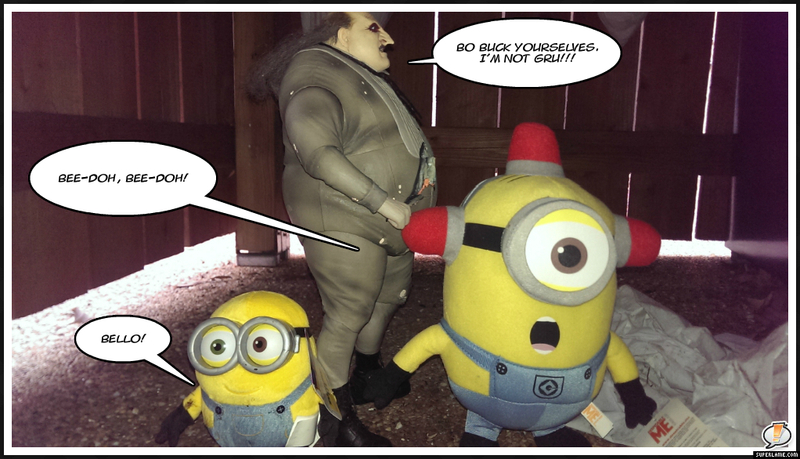 Logic was never Tim Burton’s strong suit. 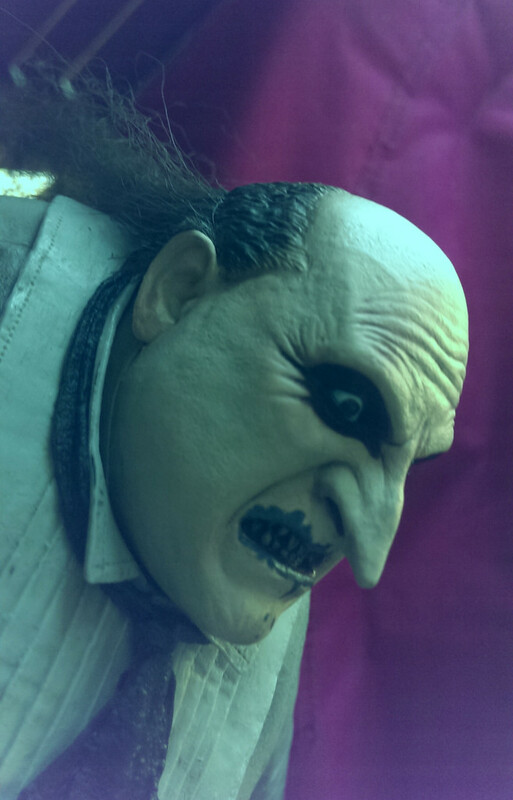 By making it the Penguin’s story, the director turned the villain into a weird anti-Batman, scarred by losing his parents and putting on the face of a social climber when he’s really a freakish creature of the night. Bruce Wayne, in Burton’s telling, wants to be normal too, so it’s like Penguin is the id he has to permanently conquer – though ironically in doing so, he misses out on what could have been the purrrrfect mate. 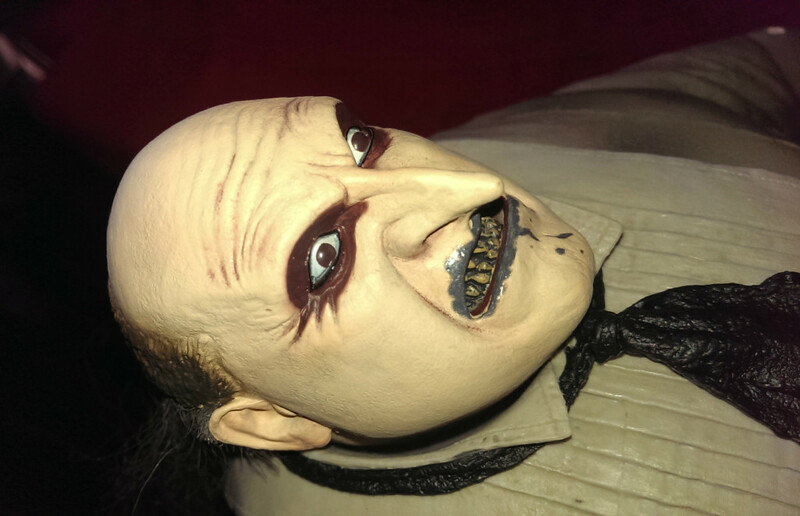 Still, the way the character of Penguin is portrayed has always appealed, and even Robin Lord Taylor’s excellent, more-grounded Cobblepot in Gotham has offered a few visual nods to it (the water-emergence in particular). As such, I have always wanted him in toy form. I couldn’t have asked for better. Penguin retails for $105 and up. If you’ve ever paid that much for a NECA quarter-scale before, you know one this detail and accessory-packed is totally worth it. He was possibly my most-wanted figure of the year, and I am not disappointed.